Large, box design black leather sofas held on stock for a free next day delivery, Features stylish chrome feet and available in a one or two seat option. Deep foam cushioning for increased comfort and support. 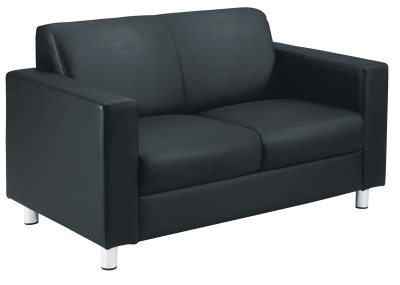 Quality black leather facing backed by a five year warranty Suitable for receptions, waiting and rest areas.